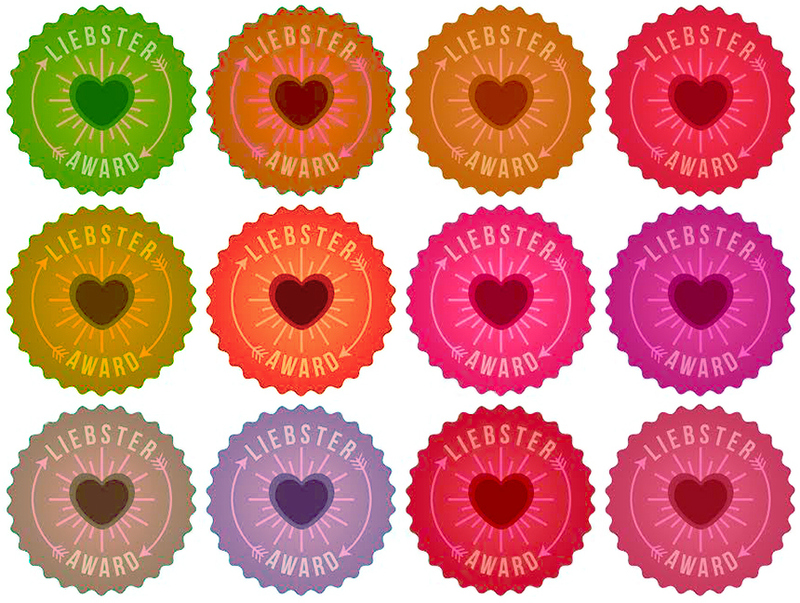 Lately I have been nominated multiple times for the Liebster Blog Award, but rather than just picking one and running with those questions, I decided I'd answer them all! If you're reading this and want to participate, please do! You can read the original rules and answer my questions here. I started blogging because I had been reading blogs for a while, but had never read blogs from people my age who were just living normal lives, but then I met Amy and thought "I want to do that too!" 2. What is your favorite beauty product? Ahhh, this is such a hard one! I guess it'd be mascara because my skin is pretty good on it's own (if I have to), but without mascara my eyes get lost! 3. What was the name of your very first pet? The first pet I remember was a lab called Isabella…but my very first was a husky named Cala! 4. What does your blog name mean to you? My blog name comes from the song I'm named after, but it just means that this little space is a collection of all the things that make me smile! 5. If you could pick one place to travel to where would it be? Well, y'all all know I'm obsessed with London! Hopefully I'll be going lots in the fall, but as for places that aren't on the books yet, I'm really liking New Zealand and Cinque Terre! 6. What are your hobbies besides blogging? Tumblr. YouTube. (I have no life off the inter webs). Crafting. Baking. Etc. 7. Who is the most influential person in your life? Well since I know there is a similar question in the next set, that makes this one a bit easier. I guess the most influential people would be my best friends and close family. They help me make all of my decisions and they model how I should be in life and business. 9.What is your go to wardrobe item? Ralph Lauren Button Downs. They can go with skirts, jeans, leggings, practically anything. The white one is my fav. 10.What is your favorite kind of candy? Dark Chocolate Covered Pretzels. I don't even need to think about it. 11. What advice could you give to a new blogger? Be confident and reach out to other bloggers. There will be people who don't understand why you're blogging or who don't like your posts, but most likely, other bloggers that are similar to you will understand! 1. What is your proudest moment of your life thus far? Again, I can't narrow it down. Graduating on stage was a proud moment, getting in to LSU, starting this blog and sticking to it…I have lots of little proud moments and I love them all! 2. Dream place to live? Somewhere in London. Maybe on the outskirts a bit so I still have some quiet time, but I just love it (in my limited knowledge of course)! 3. What would you say a "staple item" is for every girl's closet? It's a tie between a nice button down and a nice dress. Both can be dressed up or down and styled so many ways! 4. Who is your inspiration? Since I've already said that my biggest influence comes from friends and family, I can now say that my biggest inspiration is Duchess Kate. I think she's so beautiful but in a classic, natural way and I love the way she dress with style but class. She's athletic and spunky and has her own personality and I just love it. 6. What is your favorite meal of the day? Brunch! You can eat it whenever you get up (my fans being 11 or 1) and you get to mix sweet and salty. Plus, no one gawks at me for having chocolate milk and then coke, because it's past noon! 7. What is the first thing you do when you wake up? Grab my phone, put on music, and check BL and social media. My Lord, this is too hard! For any time, I love Titanic. For when I'm sad, I love Steel Magnolias. Pinterest! I can't stop won't stop! Follow me here. 10. What book should I read next? I'm really keen on reading The Fault in Our Stars…so you should too. 11. How are your New Year's Resolutions going? 1. What's your favourite movie? Gosh, of all time? I'm big Titanic fan, but at the moment I'm loving About Time. I seriously watched it 3 times this past weekend. 2. Where was your favourite vacation? 3. What's your favourite book? Such a hard question! I absolutely can't narrow it down to one but I've narrowed it down to 5 here! 4. If you could meet anyone dead or alive, who would it be and why? I know that I should say Queen Elizabeth I or Machiavelli because I really really love them, but I think I'm going to lame and say Harry Styles. I just have to know if he's really as cool in real life and he is in my head! 5. Why did you first start blogging? Oops, repeat question! See the answer in the first set! 7. Describe the current view from one of your windows in your house/apartment. Currently, I am looking out of my dorm window and I can see the side street outside my dorm, the super nice dorms across the street, and a bit of the beautiful oaks surrounding the union! 8.What kind of music do you listen to? Everything but cajun music and screamo. I love love love any music with a vintage vibe and chefs 80s music is totally me. 9. What is your biggest extravagance? Oh gosh, I'm extravagant with everything and I'm trying to curb that at the moment. I try to buy classic staple pieces that will last so those tend to be more expensive, but I spend most of my money on beauty/body products. 10. If you could go back in time, what year would you travel to and why? England in the 1400s or 1890s. Or America in the 50s. Hope you enjoyed learning a bit more about me! Have a great Tuesday! So sweet of you to take the time to answer everyone's questions! :) Congrats on your Liebsters!